Located in the bosom of the Datong Basin in the northern division of Shanxi Province, the city of Datong is the second largest city of the Province, blanketing an area of 14,176 square meters. 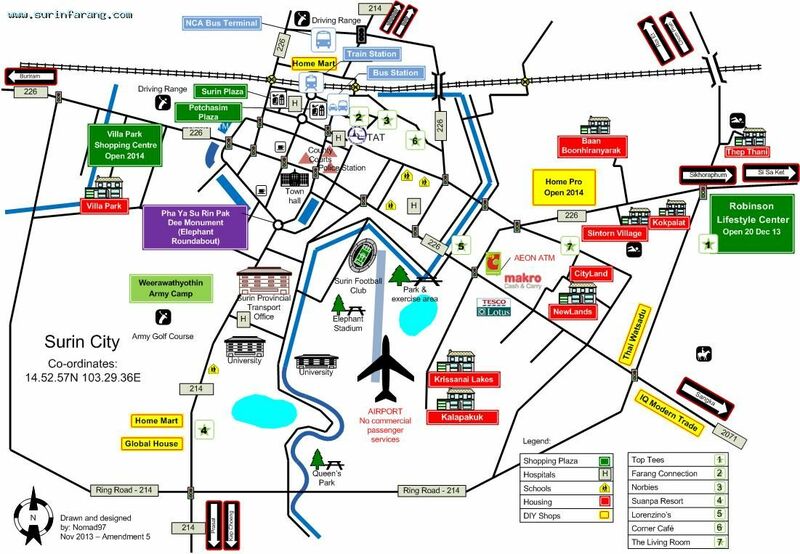 Often the city is popularly referred as the Capital of Sculpture, the Capital of Coal in China and the Phoenix City. Even though Datong may not be counted amongst the bewitching cities of China, yet it has its own charm that draws hundreds of foreign travellers, seeking to discover newer areas in addition to Beijing, Hong Kong and Shanghai. 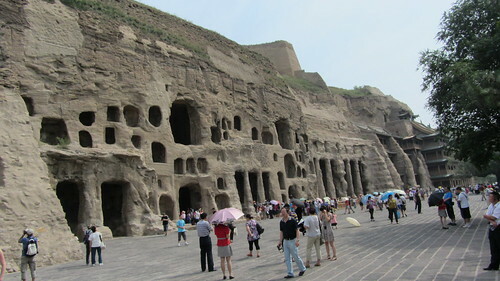 Datong shares a long and rich history. Founded in 200 BC as Píngchéng town during the reign of Han Dynasty, it became the capital city of Northern Wei from 398- 494AD. In 1048 AD, the town was renamed as Datong by the Ming Emperor. The city was plundered in 1649 AD and flawlessly rebuilt in1652 AD. Datong, bordering the Mongolian grasslands was an important strategic town, during the Northern Wei period. The first inhabitants of the city were Turkish nomads, who united under the banner of Chinese federation and converted to Buddhism. 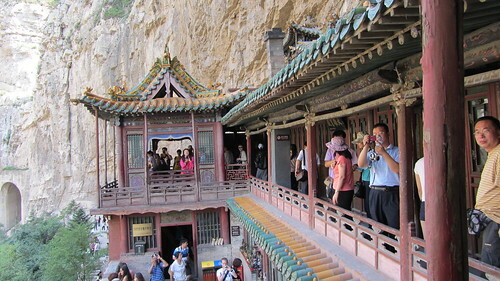 Datong offers unique and enchanting destinations for international and local travellers. The first stop is at the magnificent Huayan Temple followed by Shang Huayan Si Temple, Yungang Grottoes and Nine Dragon Screen. 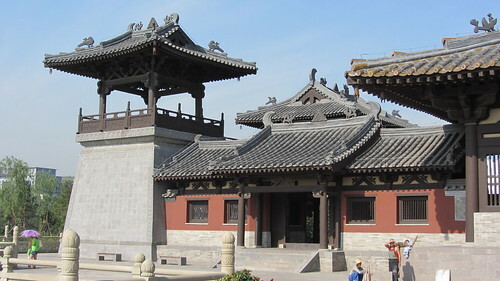 Huayan Temple was constructed by the Khitan people during the reign of the Liao dynasty. This marvellous temple is divided into two complexes exhibiting the intricate architectural patterns. Sadly, the passing eons has diminished the vibrant architecture and very little remains of it, today. Shang Huayan Si is a bustling monastery, which was built in 1140 AD. It is counted amongst the largest Buddhist halls in the country and you can hear the sermons on how to end suffering imparted by the Buddhist monks on a daily basis. Yungang Grottoes (Cloud Ridge Caves) is a wide array of shallow caves situated on the western side of Datong at a distance of 16 km. The caves offer a unique sight of over 50,000 carved statues and images of Lord Buddha and bodhisattvas, the height of these idols range between 4-7 meters. Interesting the age of most of these idols is approximately 1000 years old. 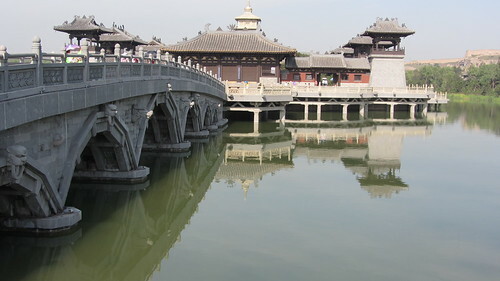 A few existing sites of historical significance within the city limits include Nine Dragon Screen, Shanhua Temple, Shanhua Temple and Huayan Monastery. Most of these ancient monuments date back to 386-534 AD, during the reigns of Ming and Tang dynasties. Xia huayan Si is a museum displaying some of the most charming artefacts from the Liao and Wei dynasties. The back hall is the oldest building in the city, as it was constructed in1038. Nine Dragon Screen constructed during the rule of the Ming dynasty, serves as the temple’s spirit wall. It is though to prevent any nuisances inside the temple by restricting the entry of evil spirits. The door measures 8m high, 45m long and 2m thick, and portrays the exquisite and finest examples of Chinese craftsmanship. Shanhua Si is yet another flamboyant temple dating back to the 12th century. It encompasses five central statues of the Lord Buddha and the divine generals. 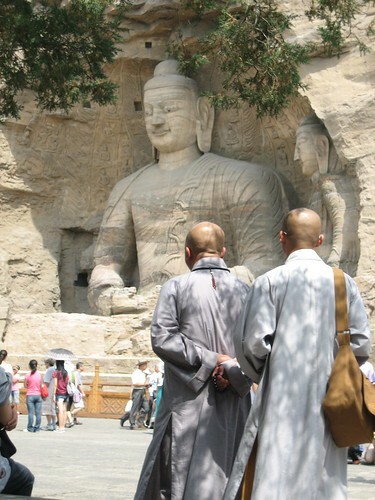 Several astonishing cultural attractions outside the city walls of Datong wait for you. These include The Great Wall of China, Desheng Bao and the Yungang Caves. The Great Wall of China is the towering piece of architecture that is visibly clear even from the outer space. It clearly defines the China on the World Map. Built during the commandership of the Ming dynasty, the wall has been constructed from hammered soil, stones and bricks. Take a hike along this soaring wall and visit some of the most incredible forts along the way. For instance, Desheng Bao is a 10th century fort and is erected in the northern direction of Datong, 43km away. The Yungang Caves are the enchanting and enigmatic grottos constructed during 460 CE and are the foremost examples of Buddhist “iconography” in China. These caves are a bit different from the Buddhist carvings along the Silk Road, because they depict the Chinese cultural flavour as they are trying to adjust and get absorbed in the Chinese society they dominated. Datong has a tiny airport that connects flights from Beijing and Guangzhou thrice a week. Three bus stations in Datong can take you anywhere within the country and the city. You can hop onto an overnight train journey from Beijing to Datong.